Microsoft in December 2014 sent out an open Windows 10 invitation to the public to join an event scheduled for Wednesday, January 21st 2015 at the Redmond campus and dubbed The next chapter via live webcast. The event will be used to highlight features and the new direction of the Windows OS. ” We’re getting close to our Windows 10 media briefing next week and as promised – I’ve got the details for you on where to watch the live webcast. The live webcast will start once the event starts at 9am (PST)[ 5PM GMT] and you’ll be able to watch it here: http://www.microsoft.com/windows10story. An on-demand version will be available shortly after the event at the same link. 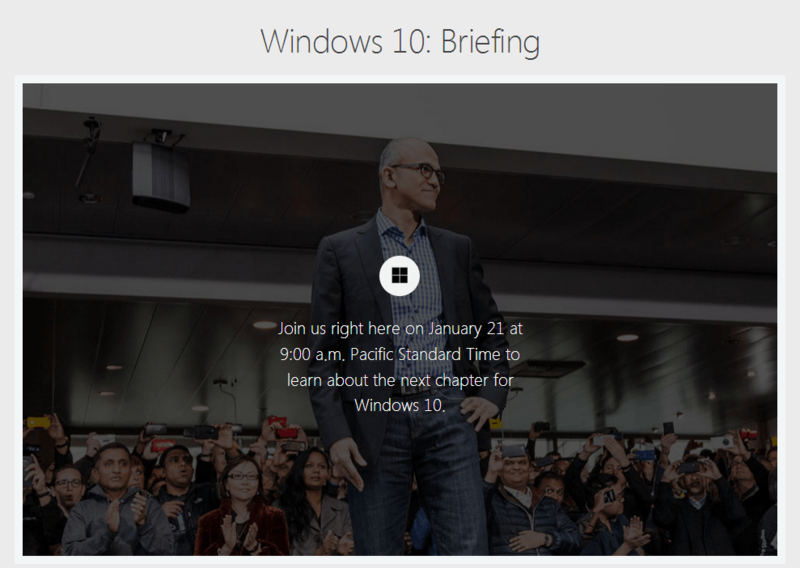 We’re pretty excited about this event and to be able to talk about what’s next for Windows 10. Join the webcast and get to know what Microsoft hasn’t revealed from the insider version yet and will showcase next in Windows 10. We’ll do well to bring you all the updates from the event afterwards.